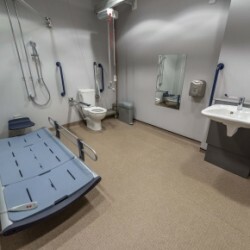 Disabled toileting solutions provider Closomat has published a white paper:Provision of Accessible Toilets in the Tourism Industry. 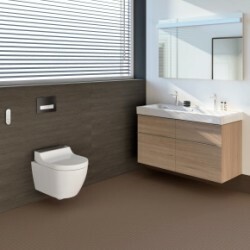 The Iconica Collection by Washroom Washroom continues to strengthen after providing form and function for new London developments. 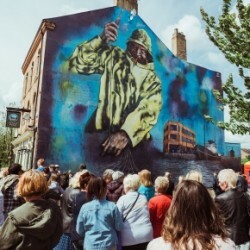 Crown Paints is supporting Hull UK City of Culture 2017 with a large scale outdoor art project, celebrating the history of the city. How can the British Standard for Inclusion be revised to meet the needs of the majority? 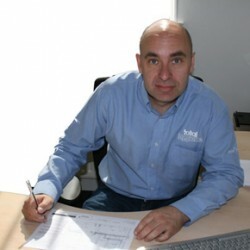 Clos-o-Mat’s away from home project manager, Kelvin Grimes, challenges the British Standard for Inclusion’s approach to away from home toileting. 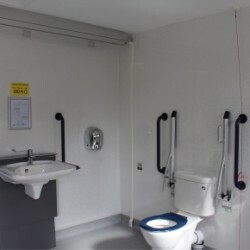 Two assisted, accessible toilet facilities have been installed by Clos-o-Mat in a leisure centre in Leicester. 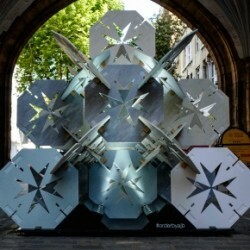 Washroom Washroom visited this year’s annual Clerkenwell Design Week to learn more about what’s popular in the world of commercial interiors. The Geberit AquaClean Tuma shower toilet is making its way on to the market, available as a complete solution, or enhancement toilet seat for retro-fitting. 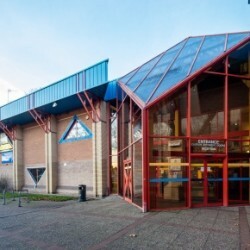 The Halifax Square Chapel Arts Centre has recently been redeveloped to deliver first-class facilities, including toilets that are accessible for all. Crown Paints has developed three palettes for Autumn/Winter, to provide architects and designers with inspiration to create personality in their projects. Washroom Washroom has created a new cycle centre for a central London office.